This post is just a quick reminder to all the leagues out there, that have one of my trophies, to send in photos for FantasyTrophies.com 3rd Annual Wall of Fame Photo Contest. The photo that is voted the best will earn it’s league a FREE Mini trophy of their choice or an Ultimate Loser large base trophy. So get creative and take a few photos of your entire league, past champ, or yourself with the trophy. It’s simple and can earn you some extra hardware. Oh, and don’t forget about the Ultimate Loser recipient. That guy deserves to have his picture taken and to be up on the site too. 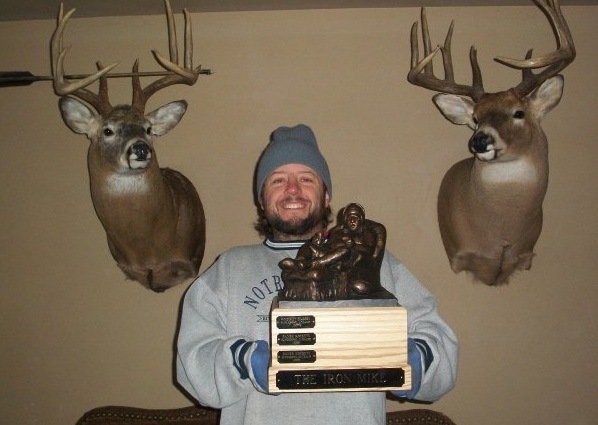 2009 Wall of Fame Photo Contest winner Joe Banek with “THE IRON MIKE” and his two record bucks. 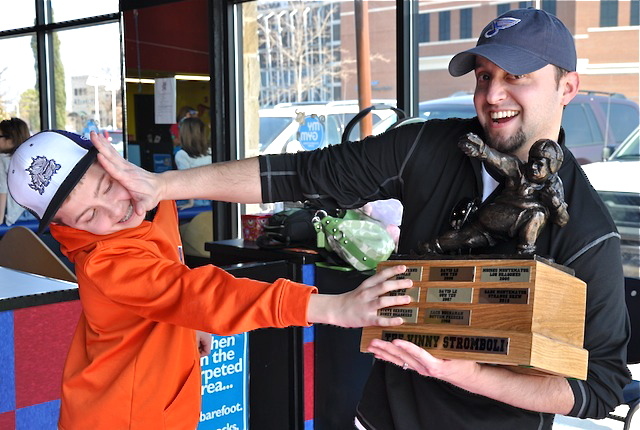 2010 Wall of Fame Photo Contest winner Gabe Montemayor won “The Vinny Stromboli” in a heated finale vs. his son, Tyler.